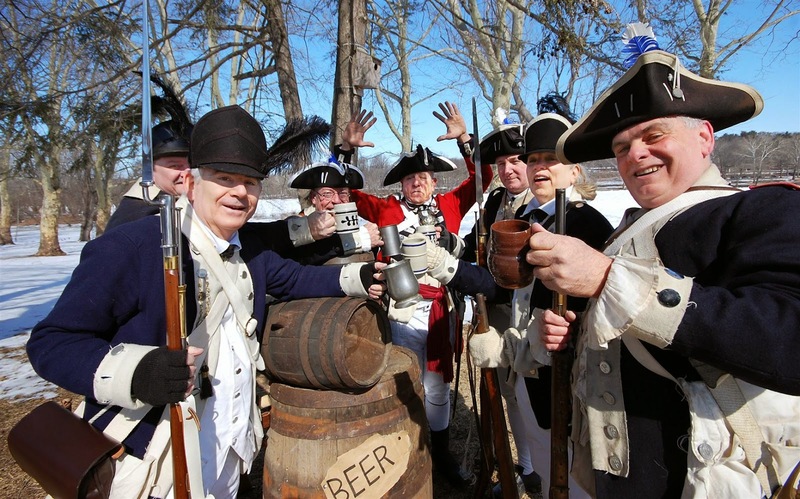 Win Tickets to the 5th Annual Washington Crossing Brewfest ~ The History Girl! You can win two tickets to the 5th annual Washington Crossing Brewfest by writing the funniest caption for the photo below. Captions can be submitted through www.washingtoncrossingbrewfest.com. The contest ends April 10, 2015 and the winner will be announced April 13, 2015. The brewfest will be held on Saturday, May 2, 2015 from 12:30 - 4:30 pm in Washington Crossing Historic Park. The brewfest – which sells out each year – will feature beer sampling from more than 60 national and regional breweries, live music, and food. Proceeds from the event are used by the Friends of Washington Crossing Park to provide educational and historical programming. General admission tickets are now on sale for $40 (designated driver tickets are $10). Tickets are available at www.washingtoncrossingbrewfest.com and the following locations: Isaac Newton’s in Newtown; Continental Tavern in Yardley; Bucks Ship & Print in Yardley; and Washington Crossing Historic Park Visitor’s Center. The brewfest will be held on the river in the upper part of Washington Crossing Historic Park, behind the Thompson-Neely House and across the street from Bowman’s Wildflower Preserve.